This post will be again a bit more private. 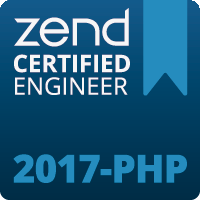 Over a year ago I wrote about becoming Zend Certified PHP Engineer. I’m still proud of having it, but when I was passing it, I was already waiting for Laravel certification. It’s already here a while, so finally I’ve found some time to dig into Laravel documentation again and to take exam. And here it is. 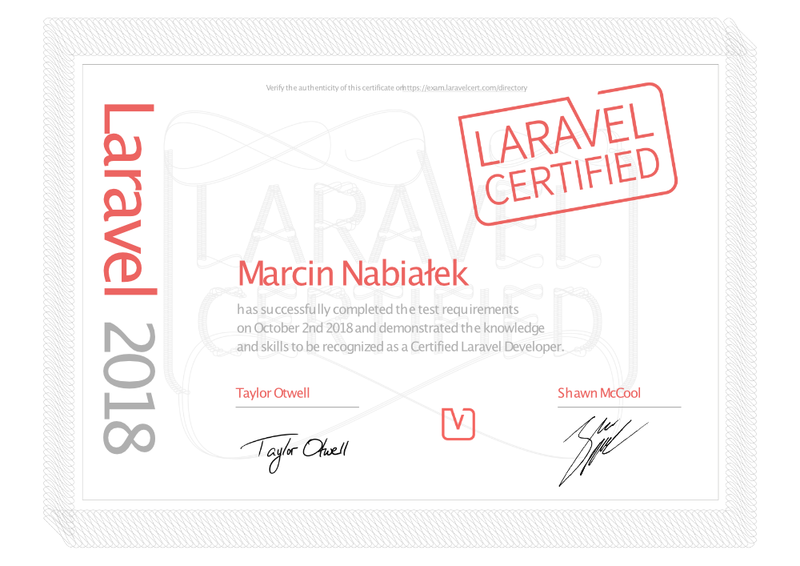 I’m now Laravel Certified Developer! This is a final proof of my almost 4 years commercial experience in Laravel framework what is also quite visible on my StackOverflow profile. What next? As I already have Zend Certified PHP Engineer and Laravel Certified Developer certificates I don’t have anything specific certificates I would really like to have. Those two were for sure the most imporant for me at the moment. Maybe I will find some time to learn Symfony or Vue.JS ? Hard to say at the moment, we will see.